In 2011, oyster growers sold over 23 million oysters worth more than $6.7 million — up 38% from 2010. The state’s clam aquaculture industry is holding steady and remains the largest in the nation, producing 450 million clams worth $26 million. Both oyster and clam prices remained stable in 2011. In recent years the state’s oyster aquaculture industry has expanded from intensive culture of single oysters from hatchery seed into extensive culture or “spat-on-shell” planting. This method involves allowing oyster larvae to settle on old oyster shells in large tanks, planting the resulting spat or seed oysters in the field almost immediately, and allowing them to grow into clumps of oysters that are harvested for sale as shucked meat. “Our greatest potential for expansion lies in extensive oyster culture and hatchery production of eyed oyster larvae,” says Karen Hudson Shellfish Aquaculture Specialist at VIMS and co-author of the report. Extensive culture efforts have received a boost from a variety of grant funding sources for new industry development, but are beginning a transition to full support through industry earnings. Hudson and co-author Tom Murray, Director of the Virginia Sea Grant Marine Extension Program at VIMS, plan to add data about extensive culture to future reports. Virginia oyster hatcheries have undergone a rapid expansion that began in 2008, but experienced some growing pains in the summer of 2011. Hatchery production is once again moving in a positive direction and the forecast looks promising for increased eyed larvae production in 2012. Eyed larvae production to supply spat-on-shell culture is a prerequisite for continued growth in that sector. Virginia oyster and clam hatcheries both supply primarily in-state aquaculture operations, whose eventual market is primarily out-of-state. This adds significantly to the overall value of the industry to the Commonwealth’s economy. 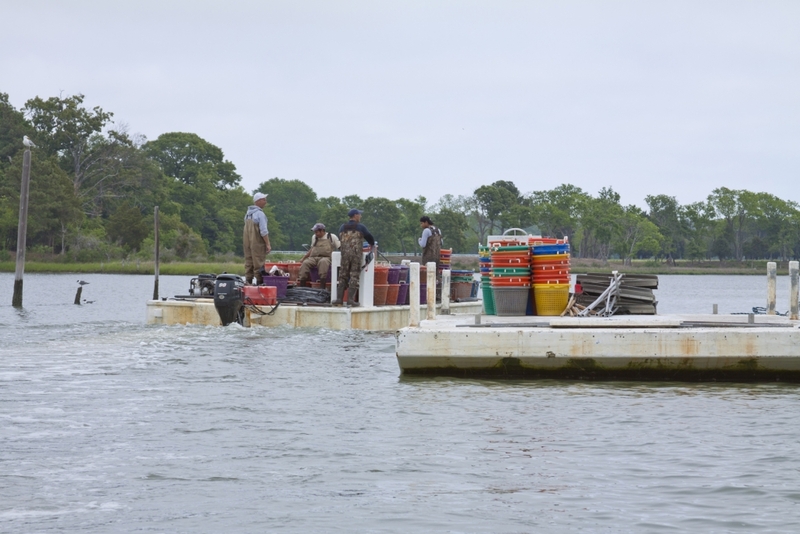 The “Virginia Shellfish Aquaculture Situation and Outlook Report” has been produced annually by Virginia Institute of Marine Science and Virginia Sea Grant since 2005. Find the “Virginia Shellfish Aquaculture Situation and Outlook Report” online by clicking here.